Peugeot’s new RCZ R will be the most powerful road-going car the brand has ever sold, it has been confirmed. Priced £31,995 and available to order from November 18, the 270bhp turbocharged sports coupe is more than 2seconds/km quicker round the Nurburgring than the outgoing 200bhp variant. It is powered by a 1.6litre THP petrol engine, and boasts six-speed manual transmission, an uprated clutch, a larger intercooler and a new twin-scroll turbocharger. Electronically limited to a top speed of 155mph, the vehicle will sprint from 0-62mph in 5.9seconds; it offers an emissions figure of 145g/km and economy of 44.8mpg. The RCZ R rides on unique two-tone 19inch alloys which accommodate new larger four-piston brakes and feature red calipers at the front. 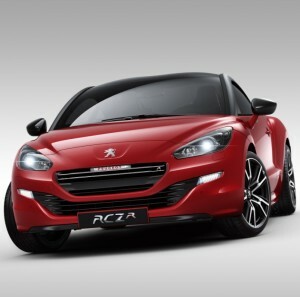 A Peugeot spokesperson said: “In more than 120years of manufacturing cars, the RCZ R is a Peugeot like no other. “Its exceptional performance and agility are the result of countless hours of bespoke development and attention to detail, followed by validation on and off the track with Peugeot Sport’s experienced test drivers in control. Deliveries of the Peugeot RCZ R will start on January 2.